I started to develop a weight problem at a very young age, I believe it was as early as kindergarten and 1st grade. Growing up, my weight affected many aspects of my life. Being overweight starting at a very young age, basically, set me up for the, “I am different” mindset. Different in that, I am larger than other girls and boys my age. As we all may know and know, being the “odd one out,” as a child, sets you up for the instant comparison, verbal teasing and bullying. As I got older, I got bigger and bigger. I was athletic (I played softball and basketball), out-going (for the most part), social and somehow made it to the “popular” kids table at lunch; I still received comments and what I thought were “looks.” To sum up my high school and college years, I was referred to as the dreaded, “girl with a pretty face” stereotype. I was very good at not showcasing the insecurities, doubt, shame, pain and embarrassment of being obese during those years. I was and still am, a very strong and independent person. Plus, there were a lot of events, opportunities and experiences I missed out on because of my inner demons; the thought of, “I cannot do that because I am too heavy” plagued me and robbed me of so much! 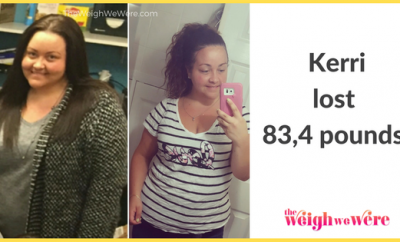 I have had a few “turning points” when it came to my weight loss journey. My very first turning point was when I was transitioning from middle school into high school. The thought of being in an environment with more teenagers with opinions scared the heck out of me. My second “turning point” was my senior year of college at The Ohio State University. 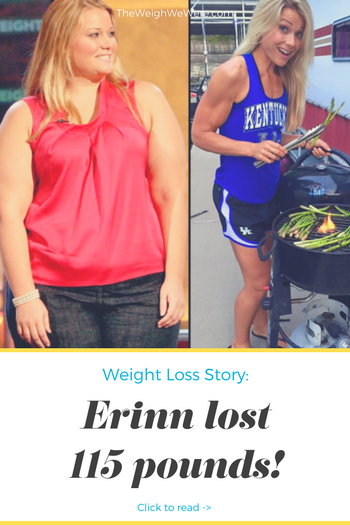 I had been an avid watching of the hit NBC show, The Biggest Loser, and decided that the only way I was going to be able to commit and lose the weight was through Jillian Michaels. My third “turning point” was in 2013 when my mother was diagnosed with a rare form of dementia called, Frontotemporal Dementia. I uprooted my life and moved back home, to Kentucky, to be her full time caregiver. When I was transitioning over from a middle school student to a high school student (I was a freshman in 2001), I was introduced to Tae Bo through a friend! I immediately begged my parents to purchase me the VHS, yes, VHS workouts. I did the workouts in my bedroom and incorporated eating more salad because that was all I knew back then. I believe I lost 12-15 lbs and felt really good about myself. Unfortunately, college approached and that loss turned into a regain plus more due to typical college shenanigans. During my senior year at The Ohio State University, I went to a casting call for Season 8 of NBC’s, The Biggest Loser. I made it all the way to the final interview phase with the producers out in L.A.. I went back to Columbus, feeling confident that I nailed it, waiting for “the call.” Well, the call I received was a call stating that the show would like to try something different. Different in that, The Biggest Loser wanted to involve its viewers and give them total control over my spot and another contestant hopeful. As if being judged all my life was not enough; now I was going to be faced with America’s vote. Hmm. Okay. The ending result, the other hopeful contestant won America’s vote and I was left to watch her and all the other contestants board The Biggest Loser bus to The Biggest Loser Ranch from my hotel room. True story, I was devastated. With that being said, I did not let that be the end for me. I had already committed to myself, that I did not want to continue on with my current lifestyle. Plus, it was an extra confidence booster to have been selected to go that far in the Biggest Loser contestant process. So, somewhere, someone saw something in me and it was up to me to keep going post “judgment day,” if you will. I went back to Columbus, again, continued on with my senior year at, The Ohio State University and found two absolutely marvelous trainers that were willing to share their free time with me. 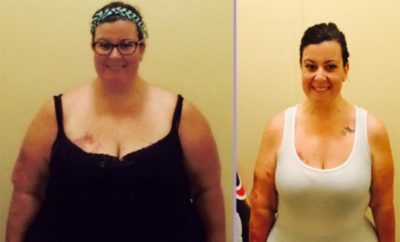 I lost 70 lbs. with their help in the gym and my “trial and error” in the kitchen, this was from June 2009-December 2009. I was also able to graduate on time, in June 2009. I went back to L.A. for Season 8’s finale in hopes of showing America that I did not give up the fight and found success at home! Sadly, I was left once again, in the shadows. My third, turning point in my weight loss journey was when my mom was diagnosed with Frontotemporal Dementia and I immediately uprooted and moved home to Kentucky to be by her side. As some may know, being a full time caregiver for a loved one is hard mentally and physically, as well as, emotionally draining. Being surrounded by a constant sad, challenging and emotional state, I needed something else to focus on, something to blast my frustrations away and escape. Plus, with my mom’s debilitating disease, I wanted and needed to be physically/mentally fit for her prognosis. September 2013, I started my first ever, Beachbody program, Insanity, with Shaun Thompson. Hands down, the hardest cardio based program I have EVER done. I completed the 60 day program at home and walked away shredding 30 lbs. From that point, I was hooked, I went on to complete more Beachbody programs in the comfort of my home. After I completed my first 60 day Beachbody program (Insanity) and shredded 30 lbs., I went on to complete more programs and saw instant results with all of them. Results ranging from weight loss, lean muscle gain, nutrition knowledge, conditioning, muscle definition and community support. Challenges that I had to overcome zoned in mainly around support. Just because I committed to a healthier lifestyle, did not mean that those around me were on the same page. Here I was again, being dubbed as “different,” instead this time, I was being ridiculed for eating too healthy and that I was now, “too thin.” I remember when some of my friends would not sit beside me while dinning out because they were too intimidated. Giving up or “relaxing” even the slightest, can and will put weight on me instantly. It is what it is. Fighters never give up anyway! Plus, I thoroughly enjoy my lifestyle. Yes, my biggest weight loss plateau was from December 2009 until September 2013! I overcame the plateau by simply losing my excuses, trying something different and stepping out of my comfort zone. I was been working on myself since June 2009. I have had a TON of non-scale victories! 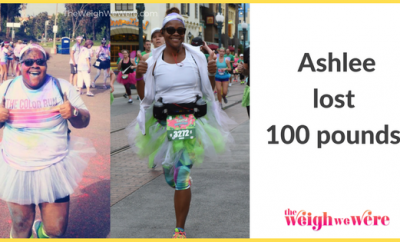 -Running a 5k and 10k. 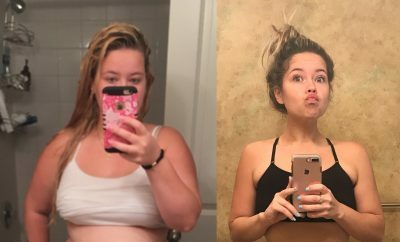 -The number one non-scale victory being that, at age 29, I finally, feel comfortable in my own skin. My nutrition today is more portion controlled and balanced. I continue to train hard 6 days a week and need proper nutrition to fuel my workouts. I focus on high protein, complex carbohydrates, lots of fresh and frozen vegetables, fruits and the occasional treats. When I was heavier, it was basically, a “free for all.” I ate whatever was in front of me without opposition. I presently train six days a week with a focus on weight-lifting. I have narrowed cardio down to 3-4 times a week, two of those sessions being 15-20 minutes of HIIT. When I was heavier, I was active but I was miserable while doing anything. Why are you doing this and never forget that why, when things get tough. Portion control, portion control is crucial because we can still overeat on healthy foods. Take the time to figure out how many calories you need a day and how to balance them between good sources of protein, carbohydrates and fats. Water, drink it and drink it often. I try to drink 1 gallon a day. You will never see me without my water bottle. Always have some healthy snack in your purse, car, or gym bag. This helps keep you out of the drive-through or junk section of the gas station!I always have a protein bar, e.i., Quest Bar, Think Thin Bar, Oh Yeah! Bar or Larabar with me at all times! I also carry packets of Shakeology and sometimes I will have pre-portioned almonds, walnuts or cashews are great as well! Monday workouts are crucial because it sets the tone for the rest of your week. 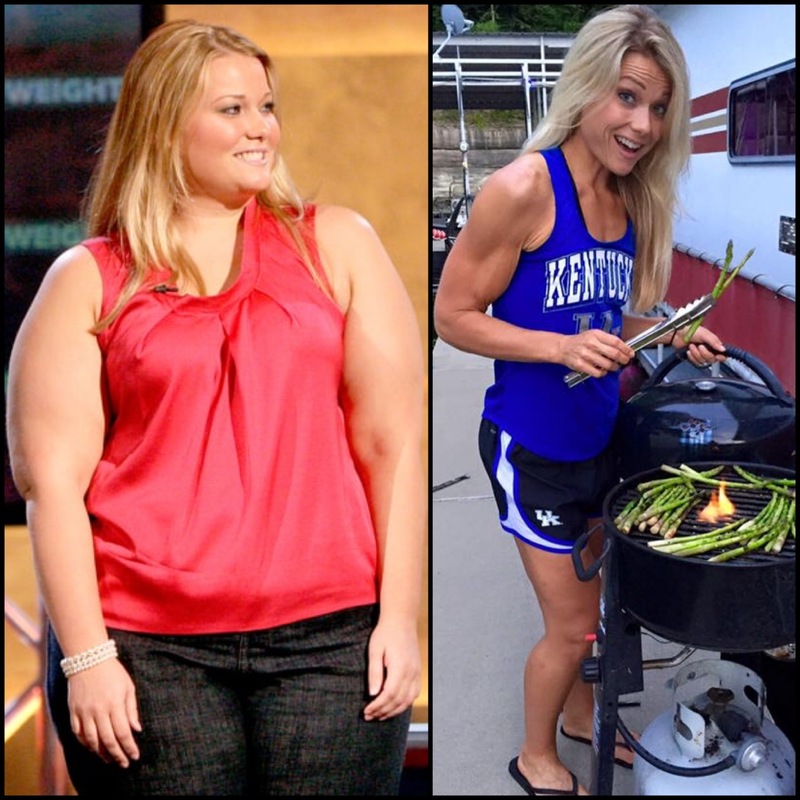 Next Story → Real Weight Loss Success Stories: Twins Ashley And Amanda Lost 120 Pounds Together! Nice guns! You look great! So inspiring! By the way, we graduated from The Ohio State University at the same time! You are such a beautiful success story! !